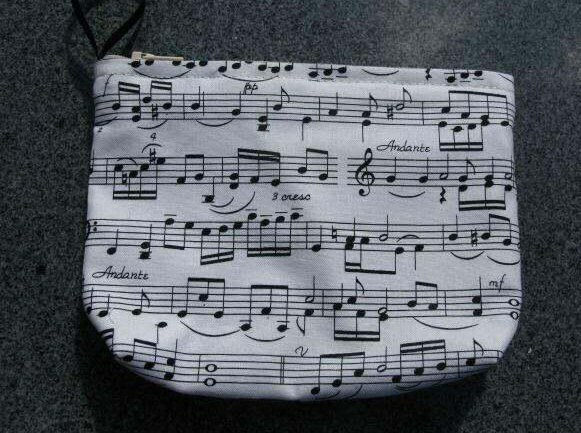 Make-up or cosmetics bag in cotton fabric with music notes pattern. Fully lined with waterproof lining. 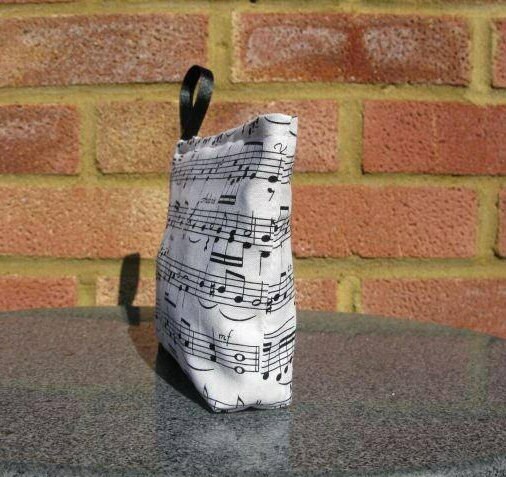 Each bag measure 17 cms by 13.5 cms or 6.75 inches x 5.25 inches and has a zipper closing and a flat, mitered base so it will stand freely when filled. 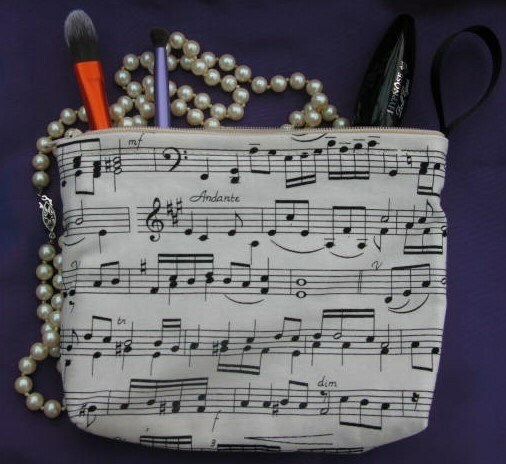 Will hold a musician's electronic tuner, guitar picks, make up, cosmetics , can be used as a coin purse or a myriad of other uses! Very versatile! 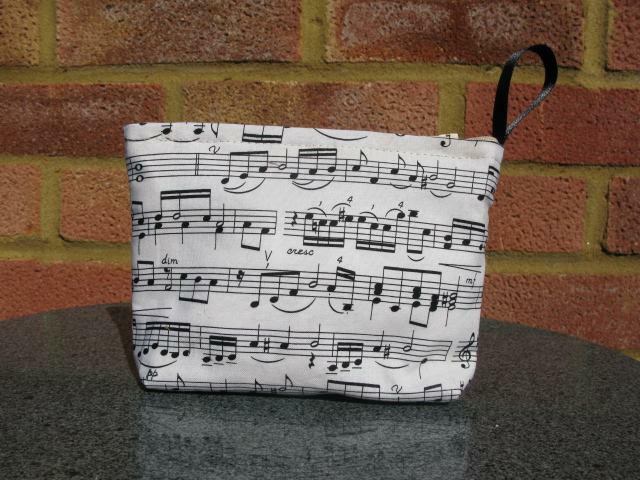 Ideal gift for a musician or anyone who loves music ! NB. 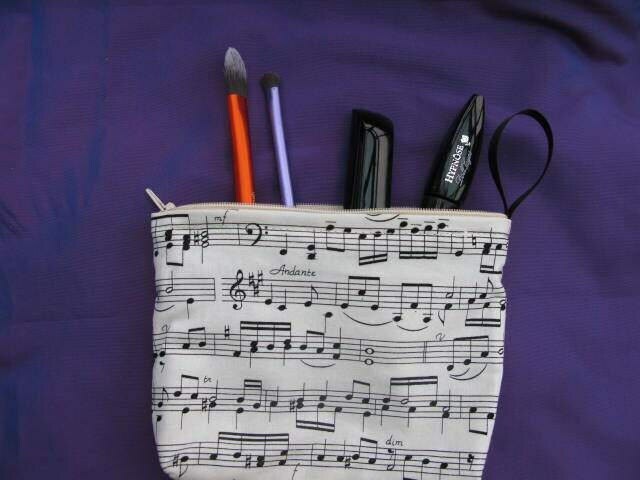 Make up, brushes and jewellery not included!